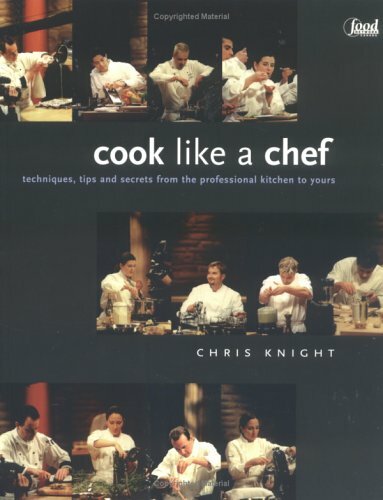 Cook like a Chef shows that the skills required to prepare wonderful meals are accessible to everyone. Even the most intimidated home cook can learn about techniques and tools to make cooking a joyous and satisfying activity. The 14 chapters of the book guide you through creating basic recipe foundations such as rich stocks and pastry dough to soups, salads, entr?es, and desserts. With recipes such as Kumquat and Star Anise Braised Lamb Shank and Fig Tatin with Vanilla Mascarpone, your friends and family will be convinced that you can cook like a chef.